Posted on 02/27/2013 by Stand and face the sun. 13 years of practicing Ashtanga yoga, whew! Is that a good thing? Is it worth celebrating? Absolutely. How did I celebrate it? Well the same as I do everyday, by unrolling my mat and doing another practice. No cake with candles, no party hat’s, no invited guest… just me, myself and I. But wait… if I have done thirteen years of yoga is there any “I” left? Yep. I haven’t transcended the ego yet. But do I really want to? No, it’s what gets me on my mat. It’s what gives me the courage that a weaker ego might back away from. I still believe my potential is limitless. I still believe, even though 13 years older, that I can do more than I could at 28. So that’s what makes this worth celebrating. I was told by my teacher years ago that I should always remember my first experience with yoga and always remember my first teacher. What I have learned from that advice is it will keep you humble. As you practice, you automatically improve. That is only if you practice consistently. As the late, great Pattabhi Jois would say “Practice, practice, practice…all is coming.” With so much improvement it’s possible you can lose sight of the place you started. It’s kind of like that Oscar winning moment for an actor where they thank their high school drama teacher. Where we start, is our anchor. We are aiming for buoyancy in yoga. Our ego more than anything else needs to stay tied down, or it can carry you away. It’s a lot like those buoys in a harbor that are markers to tell the ship where the channel lies. Me & Tim, Yoga on high, Columbus, Ohio – 2005. Some of my other buoys are my dedicated students that show up again and again and that live some pretty crazy, busy lives. Yet they unfurl their mats day in and out. These are the students that bring good vibes into the space. These are the students that want to grow, that don’t accept “no” from their bodies, or minds for that matter. The ones that lay down a path of hard work that ultimately gets them to their yoga aspirations. 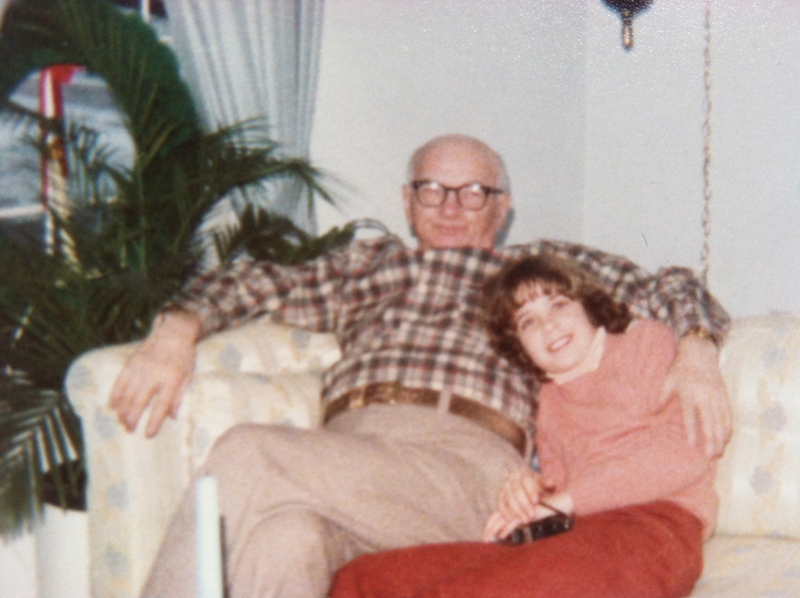 Me & my grandfather – 1983. My grandfather was another great buoy, even though he is no longer of this world. His example inspired me. He never complained, yet he probably had things to complain about. He had an 8th grade education, held down two jobs and raised 4 daughters, half his life by himself, as his wife died young. He built his own house with his own hands and lived in it for 60+ years. He tended an acre land for a garden to feed himself and his family. He lived through the depression and appreciated everything in his life. He always dressed impeccably, darned a hole in his sock and polished his shoes. He made me once sit at the dinner table until I finished my dinner and I learned to appreciate what I had been given. My mother is also one of my bumpers that keeps me on the right track. She gives so generously to others. She is always, sewing, cross stitching, knitting, baking something for someone. Things made from her love of these hobbies, as well as the enjoyment it ultimately brings the recipient. She, like her father, cooked 98% of all meals we ever ate as a family. No microwave, no frozen entrée, food that is fresh and healthy. My mom always made me go to school. I ended up graduating with perfect attendance through all 14 years of education. My parents didn’t let me walk away from commitments. My Dad believes in seeing things through and that hard work and persistence pays off. They are why I have finished 4 marathons, and only missed a handful of yoga practices through 13 years. I was raised by a hard-working family. Hard work doesn’t scare me. If anything, it motivates me because the reward at the end, I do believe, is greater. Hard work will always reward you with self-esteem. You can not lose from hard work, you can only gain. These are the people I celebrate every time my yoga anniversary comes around. Maybe I should bake them a cake, put on a party hat, and invite them over to celebrate my anniversary. But since some of my buoys can’t be where I am, and vice versa, I just hold them in my heart for the whole month of February. Is it a coincidence that yoga came into my life the month of february? The month of love, the month that celebrates the heart? I think not. I love yoga! I fell in love my very first class, and more and more each day. Even the bad days. This is the month for me to be thankful for the people who gave me what is necessary to take the long road, and not look for the short cut. Have you ever thought who you’d like to have over to dinner to say thanks to? Have you ever thought about what you would say to them? Is “thanks” enough? Does it encompass what you feel? I recently read a great anonymous quote that said ” You haven’t really lived until you have done something for someone who can not repay you.” These people I cannot repay, at least not in dollars. But I can repay them in respect and admiration. I can also repay them in behavior by carrying on some of the great morals and ethics they taught me and being an example to others. I’m looking forward to celebrating this anniversary every February. I am very thankful to the one person I had a dinner conversation with 13 years ago that said to me the same thing I have said to many people since…”Yoga is not what you think. It’s not just stretching, just give it I try. I think you’ll be surprised.” He was right. It’s not what you think, it’s so much more than we can even imagine. 13 years in, it’s still surprising me. Posted on 02/02/2012 by Stand and face the sun. Tim Miller said to me back in 2001 – “You can dig one hole deep or many shallow holes”. This, at the time, made a whole lot of sense to me, and lucky me, it still does to this day. The hole that I’m digging is Ashtanga Yoga. I’ve been at this manual labor for 12 years now. I’ve got a pretty deep hole. Just like the earth having many different layers, so has my yoga journey. I guess this is why archeologist love what they do. They find dirt exciting! I find yoga exciting! But it’s more then that, it’s a loyalty thing. There is a sense of pride that comes with sticking with something. Learning about it from all sorts of sources and experience. I was recently inspired to give loyalty some more thought because of a movie I watched called “Hachi” starring Richard Gere (that was easy):-). I googled the title, and found that this movie was inspired by a true story. The story goes: In 1924 in Tokyo, Japan, a professor in agriculture took in an Akita as a pet. At the end of each day, this Akita, named Hachiko (means 8 in order of it’s birth), would greet Hidesaburo Ueno, his owner, at the train station. They did this for 2 years, until in 1925 when his owner had a cerebral hemorrhage. He died and never made it back to the train station where Hachiko was waiting for him. What the dog did next just seems to speak the truth of at least what I have always felt. Which is, animals do have souls. I know I can be accused of anthropomorphism, but I don’t consider that to be a bad thing. Which is where we project human emotion on to animals. Well, I think we would all be better off if we projected more animal emotion into our own behavior. But I won’t digress right now. For the next nine years, Hachiko punctually showed up at the train station waiting for his owner/companion to return. Nine years, in a dogs life, is 63 years of longing for his owner, or for understanding of his loss. People today can’t stay married longer then 72 days. (I know I shouldn’t have gone there) But this is true, people jump ship when things get hard, or confusing or not self serving, instead of digging one hole deep. Why do we have the attention span of a puppy and not of a loyal adult dog? We seem to be the only species sometimes that can’t seem to come to terms with doing something repetitively and seeing where it takes us. A common expression that is used to describe a lack of loyalty to yoga is “I got bored”. Another word for bored is routine. What’s so bad about a routine? We all have them, like the way we start our days, or prepare our meals or dry ourselves off out of the shower. Routines should give us comfort. But some routines, like ashtanga yoga, will take us out of our comfort zone. If practiced diligently and correctly it should constantly change your comfort zone. That might be the problem? The other amazing thing about Hachiko’s story is that under what would seem like apparent grief, was the amazing force of hope. I recently read a quote, nonetheless from a yoga book about Krishnamacharya, which said ” Failing isn’t as bad as not trying at all. 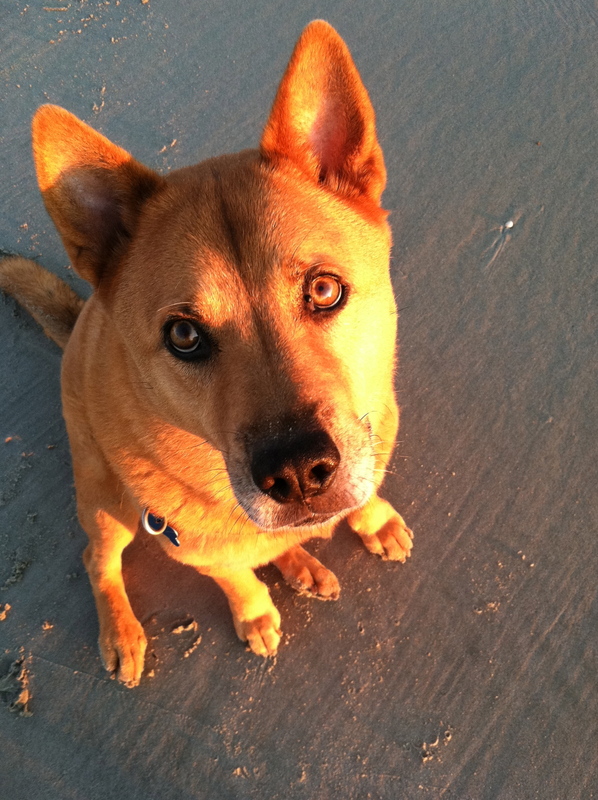 Hope is the last thing we can lose.” This dog had hope that his owner was going to return. That the best place for this reunion, was the last place he knew he went. Most of us lose hope too quickly these days. If something doesn’t go just as planned or happen on our predetermined timeline, we lose hope and quit. You know the expression “cut your losses”. Somewhere in the course of those nine years that dog could’ve taken to a new owner. All the local commuters had seen him every day perform this ritual, and had become quite attached to him. Hachiko could’ve cut his loss and moved on. From the way the story sounds, the commuters began to take care of Hachiko with treats and pats on the head. These commuters where able to be empathetic to this animal because they saw his suffering. But they also saw his loyalty. Now in Japan, the word Hachiko symbolically means loyalty. The country erected a bronze statue of Hachiko in 1934 at the train station where he waited for his owners return until 1935, when he was found dead in the streets of Shibuya. Maybe, Hachiko knew his owner was not going to return, but did this ritual daily, as a tribute? What would we be willing to do daily, for 9 years? Usually, for something to become significant enough to become a ritual it needs to have a high emotional value. The bigger the loss, the greater the tribute. As we just past Martin Luther King, Jr. Day, we proved that with the new monument dedicated to him. It stands 30 feet high. It has two mountains: one symbolizing “a mountain of despair” and MLK stands carved in the middle with the other side of the mountain symbolizing a “stone of hope”. Those two lines are taken out of his “I have a dream” speech. Why is hope so hard to handle? It sometimes seems like chasing down a greased pig. But if we lose hope, then what moves us forward? What inspires us to try again? What will make us take another shovel full of dirt, of our hole that we are digging? 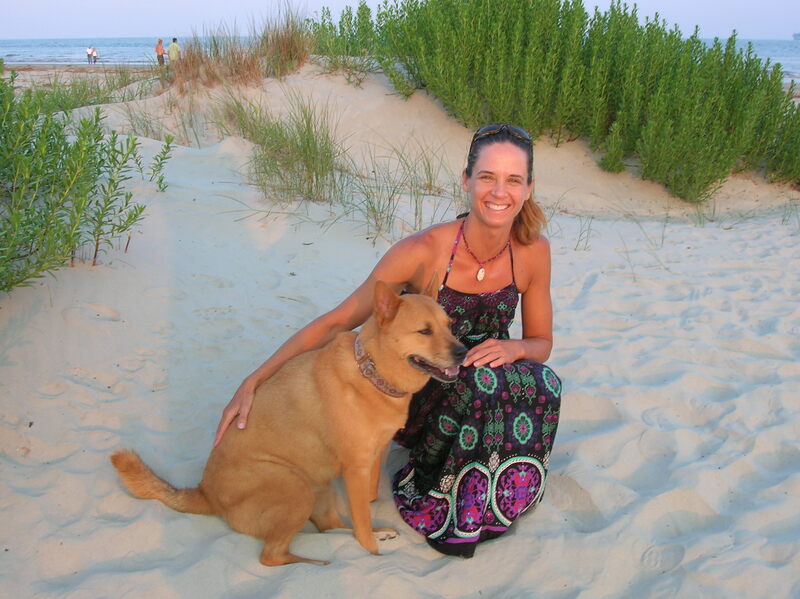 Cathy & Ginger, Sullivans Island, SC. The quitting, cutting your losses, or losing hope happens when we can’t see the outcome. If you look up the word loyalty it describes it as faithful. Faithful! To have faith, is to blindly trust. Akita’s are bred to be loyal to one owner, they were used to protect the king. The loyalty lied with the King. If you have never experienced this breed or it’s other closest relative, the Chow Chow, which was bred with similar attributes, but was to protect the queen, I have. My current dog in my life is mostly Chow, and first hand, I can tell you that this loyalty thing is true. When I first took her in she had no interest in me what so ever. No surprise as I was now her second owner. Her first one didn’t want her any longer, but she was staying loyal to him. I had to keep her name “Ginger”, as it was the previous owners name for her, because it was the only way I could get her to pay any attention to me at all. We now have a pretty amazing bond but it took time and my loyalty to her. Why would I say this? Because when I decided to keep her I had found out she was dog aggressive. I knew that if I gave her up, she either had a future of being disowned again and again from this behavior, or she would be euthanized. I was the best chance she had at a good life. My decision to be loyal to her eventually gave me a very loyal dog. Is loyalty something that has to be earned? Is loyalty a two way street? Should anything be a two way street? Unconditional love is the greatest example of a one way street, no conditions. Again dogs excel at this. Hachiko couldn’t have known the outcome to his circumstance, yet he did it anyways. He must have had faith in his actions. An interesting thing about having faith, is most of us attach an expectation to faith, that we will have faith, IF it produces the desired outcome we want. See, that’s not faith. Faith is releasing control, accepting whatever comes. I’m sure Hachiko had hope that his owner would return, but had faith that this was what he needed to do. No matter the outcome. And he did, till his death. I always say I am going to be a little 80 year old lady doing yoga. I have made the commitment to it “till death do us part”. I find that making a commitment to another human being is harder then it is to my yoga practice. But what I’m realizing from my yoga practice, is a thing or two about loyalty. I am loyal to my practice. I am loyal to my teacher. I am loyal to the style of yoga that resonated with me 12 years ago and I am loyal to hole that I am digging. I have been shaken in my journey with injuries, finances, relationships, etc., but I still keep digging. Just as I am sure Hachiko dealt with cold, hunger, illness, etc., but for nine years, precisely at the time of their train station ritual, he would appear. I figure that if I can stay loyal to yoga, then I am practicing staying loyal to other people and things. So I have faith that this hole I am digging is taking me somewhere, even if I don’t know where. I hope that this is the right thing to do. I have these things because I have made my yoga practice ritualistic. Important enough for me to do it as a tribute to my teacher, and to his teacher, and to myself, as I am my own best teacher. Each day, when the train of yoga pulls up, I hope that the passenger coming off that train is a better one because of my dedication, and faithfulness. That the ritual of my yoga practice is a tribute to my journey, my teacher, my husband and my dog. I highly doubt that anyone is going to make a statue of me at the end of this experience, but if all goes well, I won’t know if they do, because I won’t be around any longer. I will see this through to the end. I figure at the end, that the hole I am digging won’t be a hole any longer, but more of a tunnel that took me through the mountain of despair, to the stone of hope. Do I think we all need to become more dedicated, loyal and willing to do things even if they are not self serving, easy or transparent? Yes, I do. But since I can only be accountable for my own actions, then all I can do is hope that they are inspiring. To lead by example. I realize the holes we dig will not be the same. I do wish that the people that are digging their hole in the path called yoga, that they will stick with it, one shovel full at a time. That they won’t get bored and that they’ll never feel the need to cut their losses. I started yoga at age 29. So if I’m lucky enough in life to get 63 years to practice my loyalty to yoga, then at a young age of 92, I’ll still be digging in this hole. A dog inspired me. My teacher inspires me. And you just might inspire me? Start digging, have faith and show your loyalty.